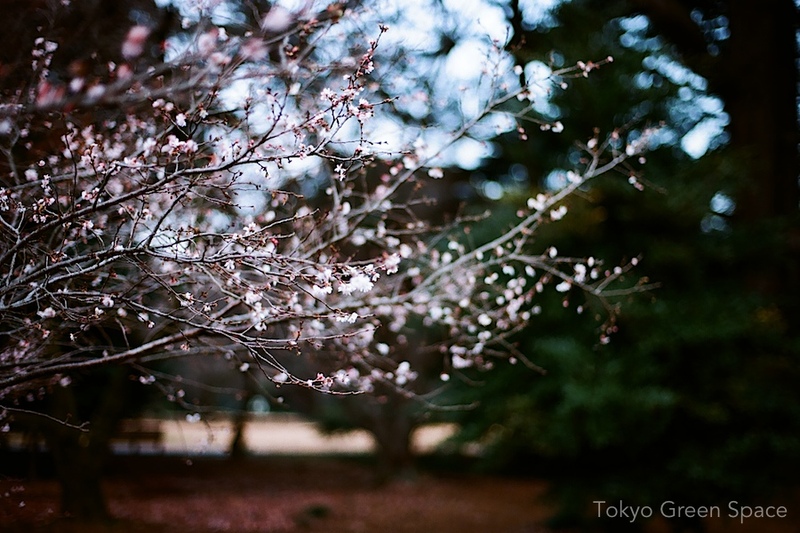 This year I tried to focus on the different tribes that assemble beneath the cherry trees for hanami season in Tokyo. There were some scenes I expected, and many that were surprises. 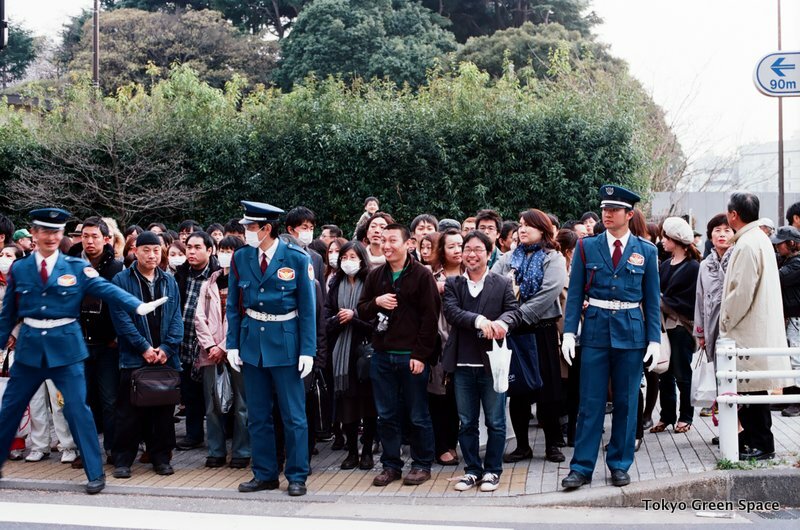 In this photo of Shinjuku Gyoen, my good friend from San Francisco’s back is in the middle, with a couple on the left and cosplayers on the right. In a pond at Shinjuku Gyoen. 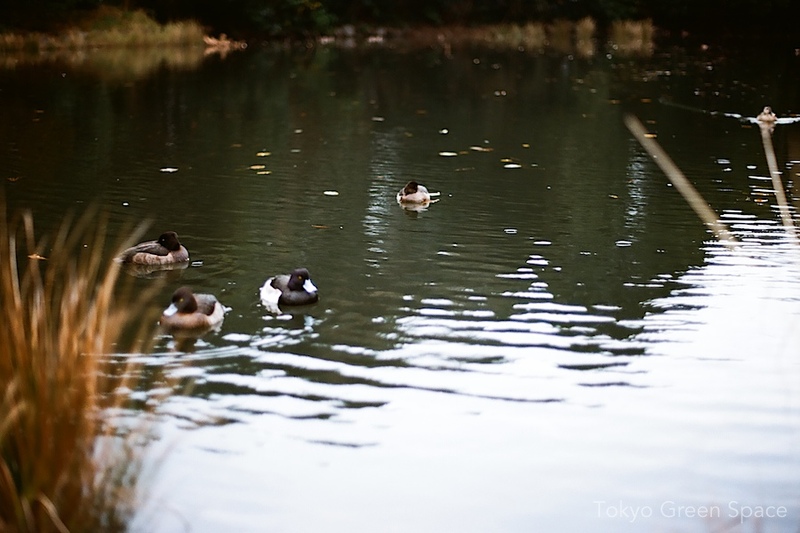 Ducks are still a common sight in Tokyo, wherever there’s clean water. Don’t they get cold in winter? 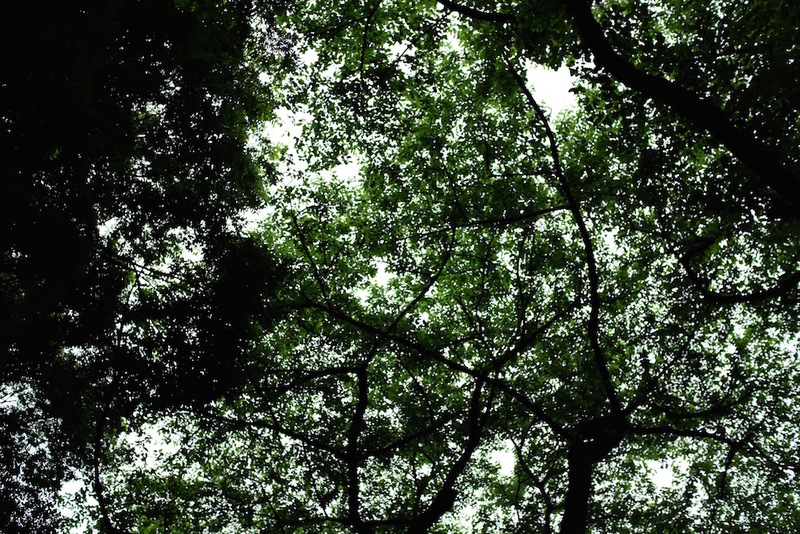 Also in Shinjuku Gyoen. 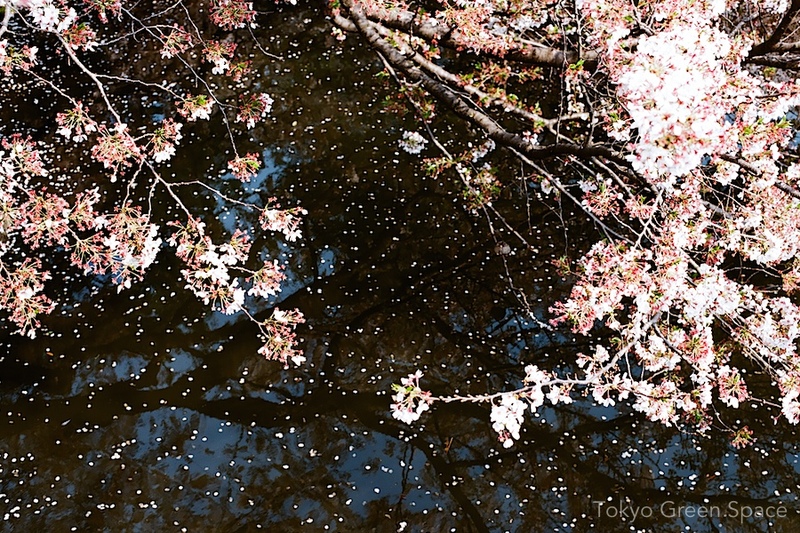 These photos are from this year’s rather cold cherry blossom season, which meant easier access to some of the best spots. I love the difference in scale between the old trees and the people they attract. I also love how prepared the city is to manage the expected crowds of tree lovers. 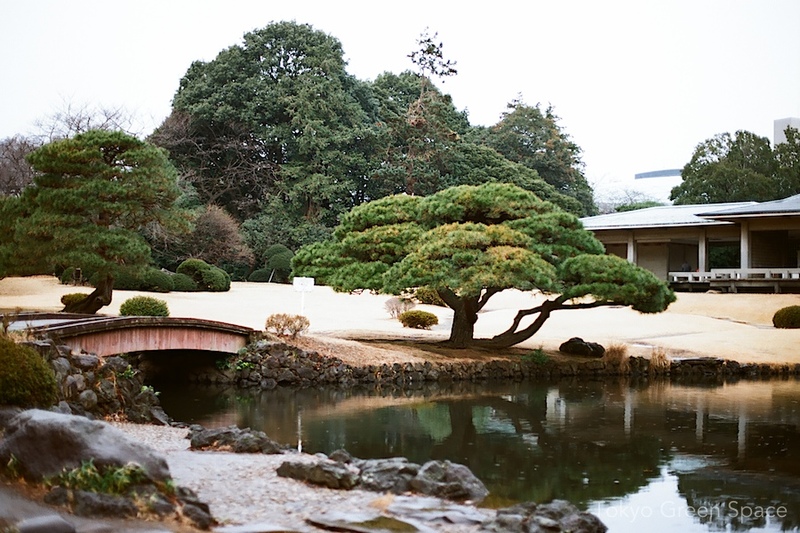 The best place to escape Tokyo’s winter is inside the new greenhouse in Shinjuku Gyoen. 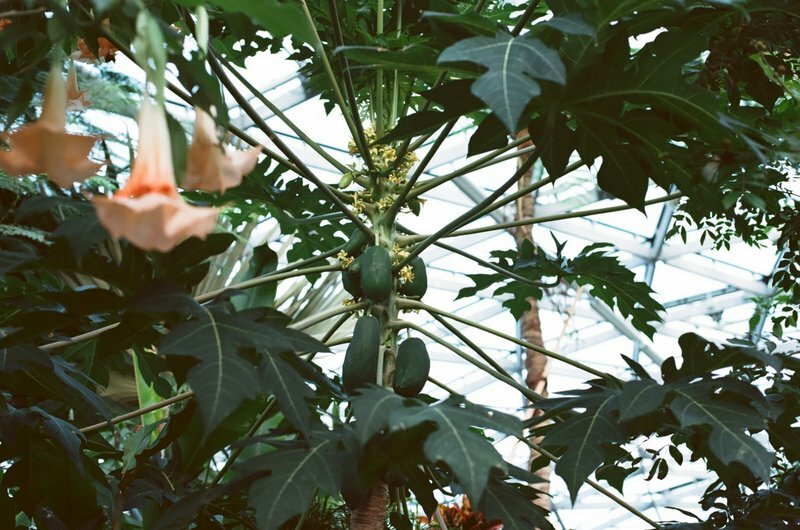 I love exploring all the tropical plants, and seeing the fall and winter park landscapes through the glass walls. From the outside, the building reflects the giant trees and clouds. 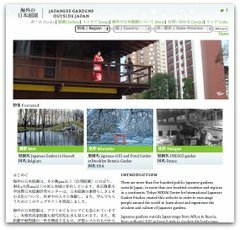 New greenhouse at Shinjuku Gyoen opens. A warm escape from winter. An amazing, tropical place to spend a cold day. Yesterday, I enjoyed watching the park’s fall foliage through the enormous glass walls. 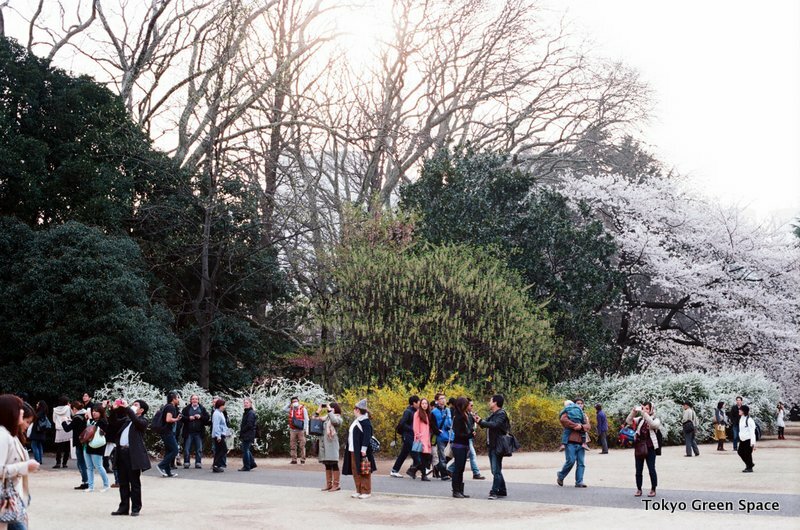 Shinjuku Gyoen is gorgeous in spring. So many trees blooming! 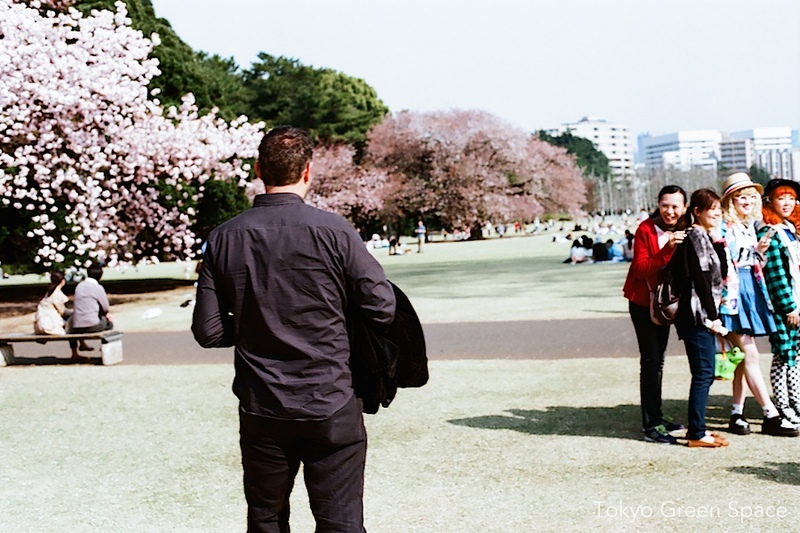 Even on a weekday before peak cherry blossom season, Shinjuku Gyoen has plenty of photographers and people strolling around the trees. The yellow flowers in the foreground are sanshuyu, a Northeast Asian dogwood that produces cherries and is used in Chinese medicine. I like the documentation and how the pond connects the yellow and pink blossoms.